Early June sunshine and pleasant temperatures brought people out to the Hickory Creek forest preserve walking path. 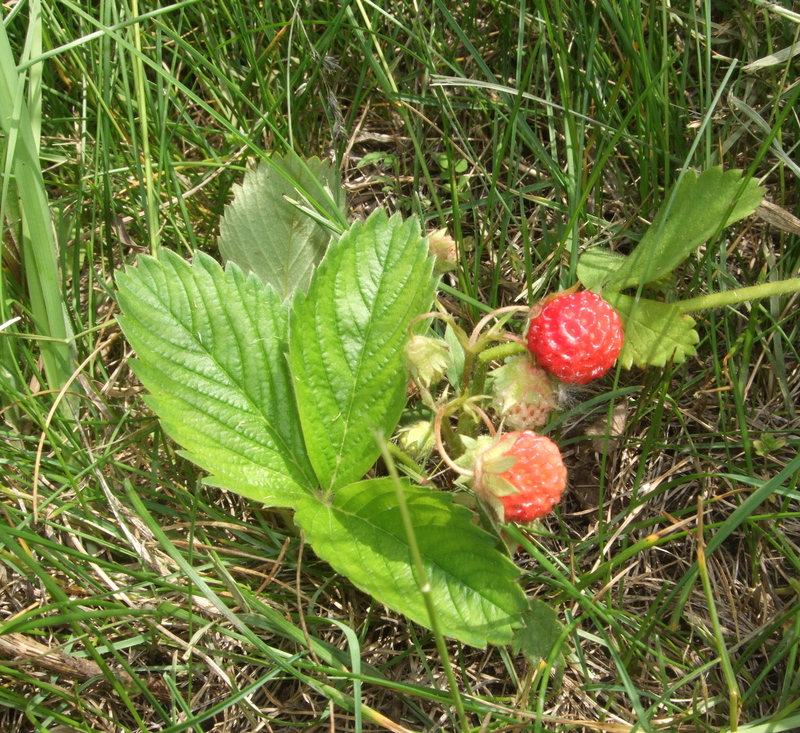 Many bicyclists zoomed past and didn’t stop to chat or sample the strawberries just beginning to ripen in the sunny fields. Dog walkers and joggers nodded or smiled, but didn’t stop either. Everyone had their their job to do, I guess. 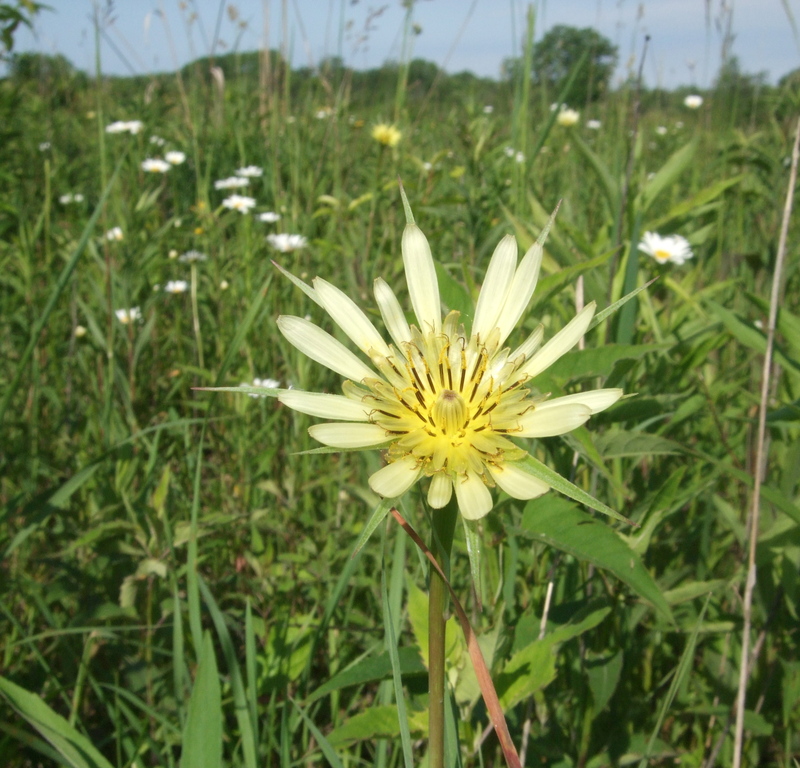 My job was to stop to smell the roses––and the goatsbeard, and the oxeye daisies, which I just learned, are in the chrysanthemum family. 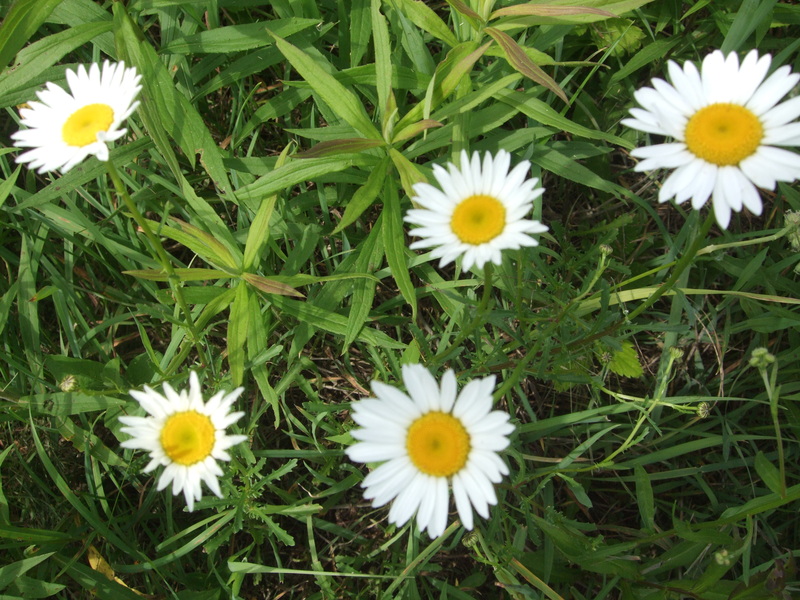 The open fields were littered with unidentified yellow flowers–DYCs, a friend calls them– “damn yellow composites”. 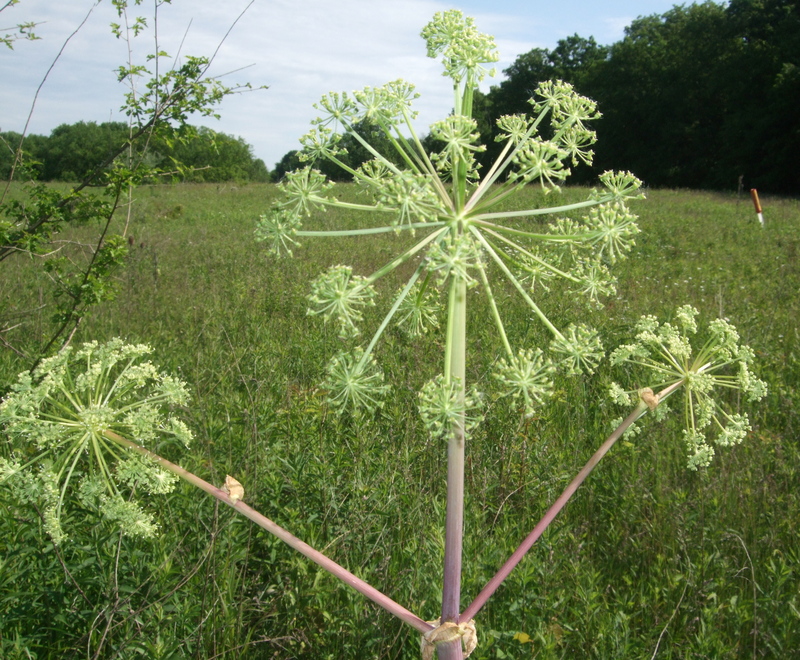 The most striking plant I found is the Great Agelica which can grow up to nine feet tall. As beautiful and relaxing as my walk in the woods was, I went home to find equal beauty . 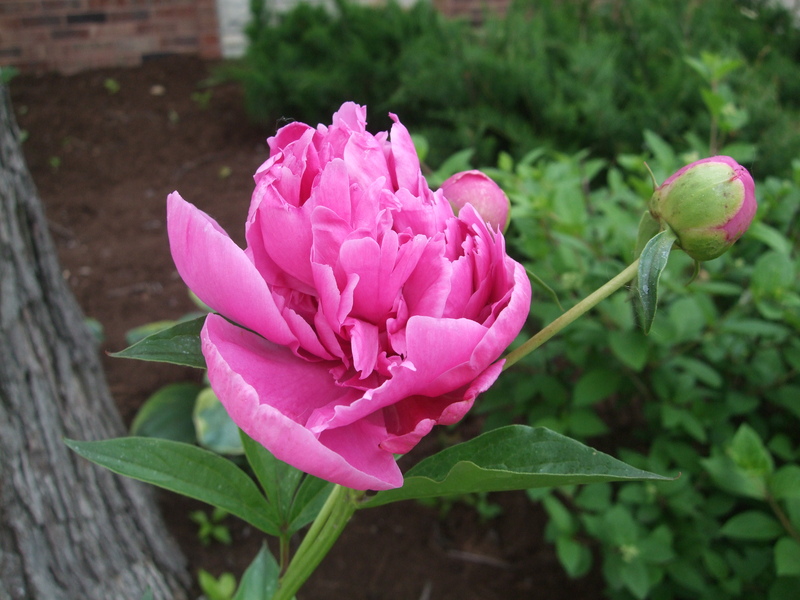 . . my grandmother’s peonies. She died in 1952 and my sisters and I have propagated and loved her favorite flower ever since.